Want to you see your child playing the piano? You’ve just got to love watching a young person performing on the piano and enjoying it! Want to see your child playing the piano? Let’s chat about how you can put your child into this picture! I am so looking forward to this event! Are you currently registered in the RCM program? Why not schedule your own personal ‘mock exam’!? 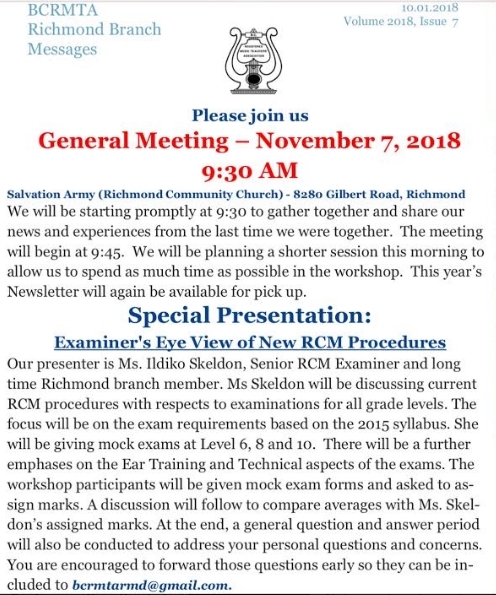 I love sharing my specialized knowledge and expertise as a current RCM Examiner to help YOU ultimately get significantly better results & higher final marks through the ‘mock exam’ process!